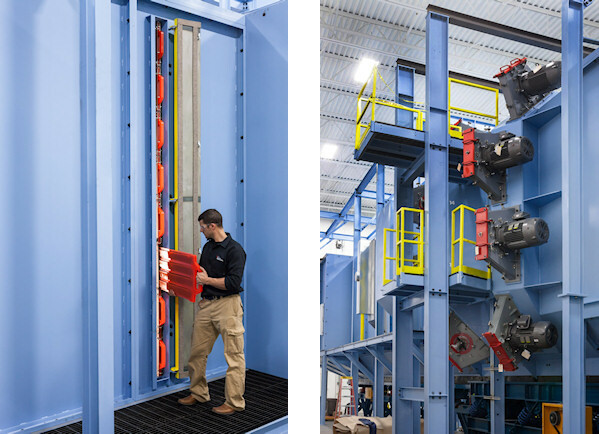 Monorail shot blasting equipment provides for parts to be suspended from an overhead monorail and passed through the shot blast cabinet. The number of shot blast wheels vary depending on line speed and blast cleaning specifications required. 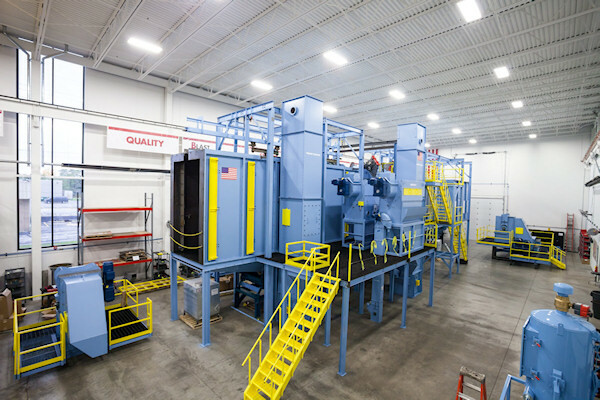 Our shot blasting equipment designs include improved slot seal arrangements, extended vestibules for abrasive retention and improved finger seals for reduced parts hanging on the seals.